Intelligrated has more than 100 years of experience with the brewing industry experience and has recently worked with the likes of Sierra-Nevada Brewing Co., Lagunitas Brewing Co. and Lost Coast Brewery. Awesomely innovative brewing products from around the globe are being showcased at the Craft Brewers Conference and BrewExpo America. New brewing systems, new canning lines and automated material handling solutions are just a few of the product categories completely piquing our interest for awesome high-tech operational hardware and software. First on our list: Intelligrated, a leading North American-based automated material handling solutions provider, is highlighting its range of solutions for the brewing industry in booth #1716 at BrewExpo America. Intelligrated provides a wide range of automated material handling solutions and software for operations of all sizes, from growing craft brewers to multinational distribution operations. Intelligrated has more than 100 years of experience with the brewing industry through its Alvey equipment brand, and has recently implemented automated material handling solutions for multiple craft brewers including Sierra-Nevada Brewing Co., Lagunitas Brewing Co. and Lost Coast Brewery. 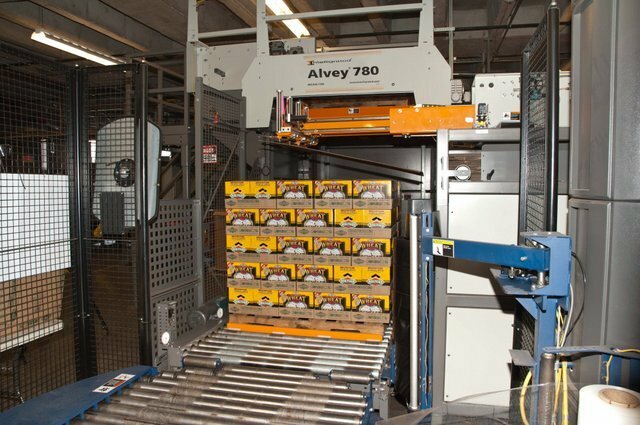 The company’s solutions for the brewing industry include flexible robotic case packing and unpacking, keg handling and palletizing systems for the creation of mixed loads, less-than-full pallets, in-store displays and variety packs. The scalable systems provide consistent and gentle product handling with proven uptime and reliability. Intelligrated also offers complete automated material handling solutions for distribution and warehousing including conveyor systems, sortation solutions, warehouse management software and order picking technologies, all supported by 24/7 customer service and support.